When I am in a certain province, my task is to explore the area as much as possible. This is to discover the different attractions available with a limited number of days. On my recent visit to Camiguin, this goal was hindered by a superb, well-landscaped tropical resort having a native Filipino theme, Bahay Bakasyunan sa Camiguin. 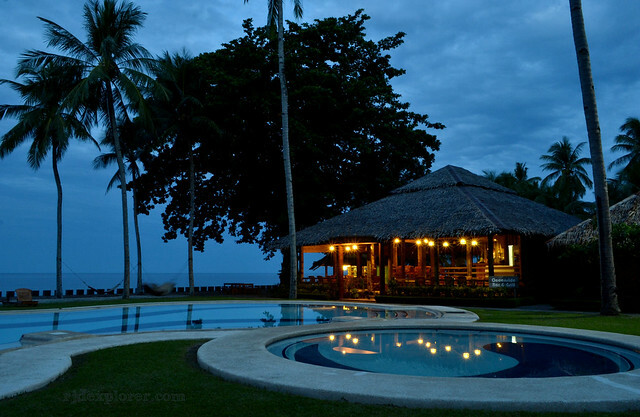 Bahay Bakasyunan sa Camiguin after sunset. 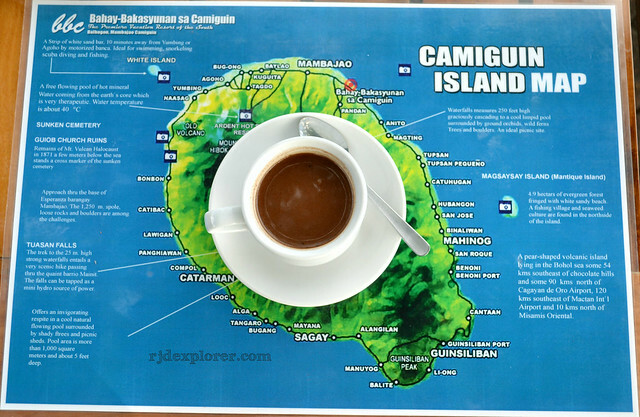 Having booked a direct flight to Camiguin from Cebu, a staff from the resort picked me up at Camiguin Airport. 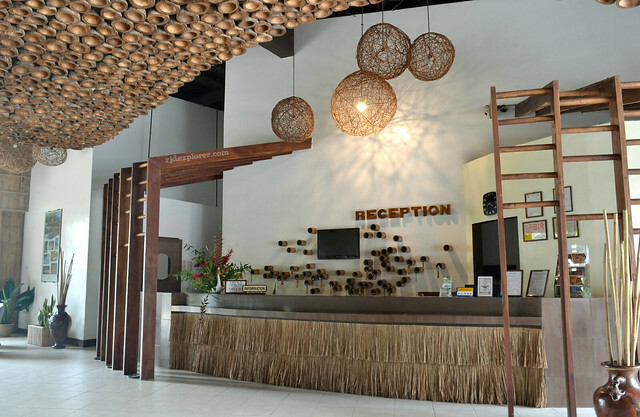 Upon arrival at the resort’s lobby, I noticed the ceiling blanketed with dried coconut husks. The front-office crew shared that there are around 3000 pieces of husks on the ceiling. Resort’s lobby and their Deluxe Rooms. 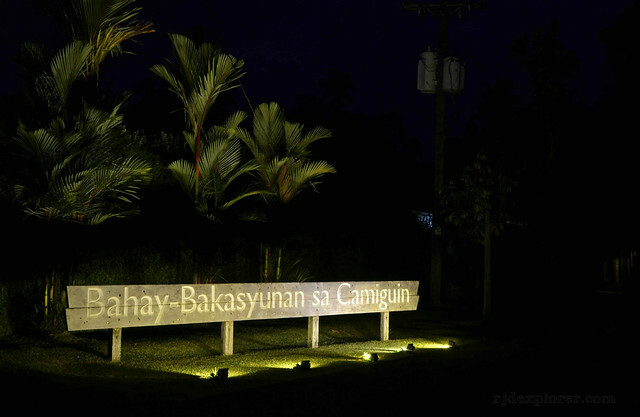 “Welcome to Bahay Bakasyunan sa Camiguin,” the staff at the front desk welcomed me as I walked towards the booth. She asked how the flight was as I signed the guest form. She immediately handed me the room key that she took from their bamboo canister key-holders on the wall, very clever. One of the Superior Rooms. Another staff approached me and said that she will be ushering me to my room. The moment I arrived in my Superior Room, another staff handed me a glass of a gingery drink. The small gestures made me feel so welcome in Bahay Bakasyunan sa Camiguin, and in Camiguin of course. 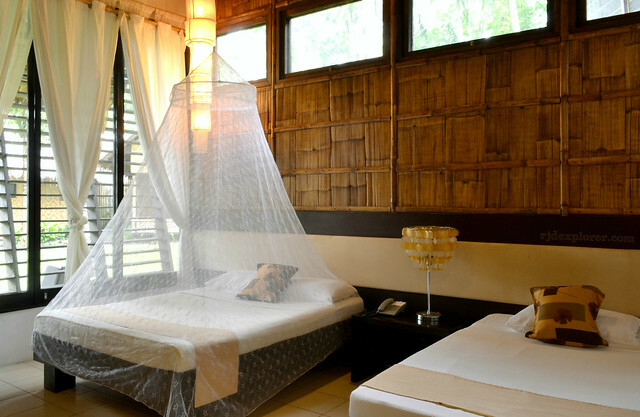 Cozy and Filipino inspired accommodations in BBC. BBC is made up of 29 rooms – 10 deluxe, 4 superior, 9 supreme standard and 6 premium standard rooms. 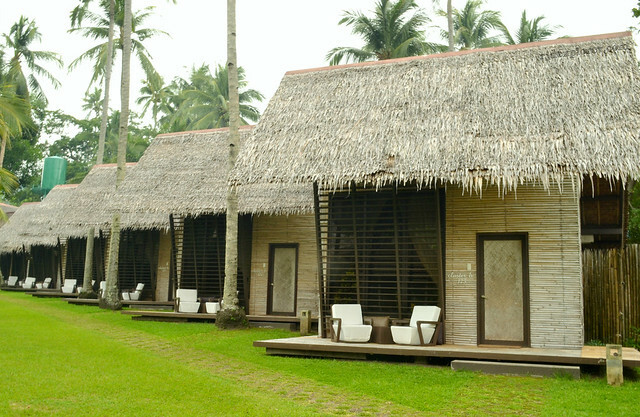 The deluxe rooms, clustered into 3, are located on the left side of the resort. Dried nipa leaves roofed the rooms while bamboos were used as walls with the hut on a wooden platform elevated from the ground. A relaxing ambiance is evident because of the large windows and the high ceiling that make it cool and comfortable. When you’re lying on your bed, you can literally see the nipa roof that will make you appreciate the native Filipino architecture. 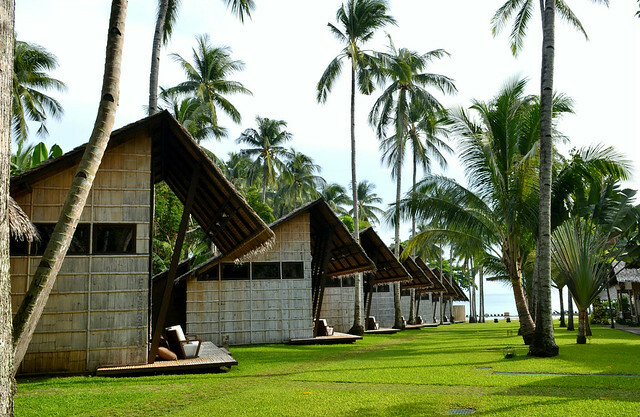 The nipa-hut inspired rooms were beautifully lined-up and are picture perfect with the green Bermuda grass covered land. All rooms have the same amenities: cable television, mini-bar, telephone, air-conditioning unit, hot and cold shower, and Wi-Fi connection. 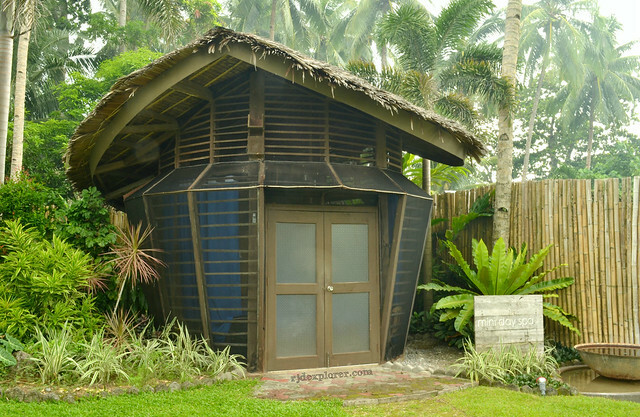 The only difference of the deluxe from other room types is that it is modernized while the others look a lot like the usual Nipa Hut (Bahay Kubo) and that they’re located on east side of the resort. 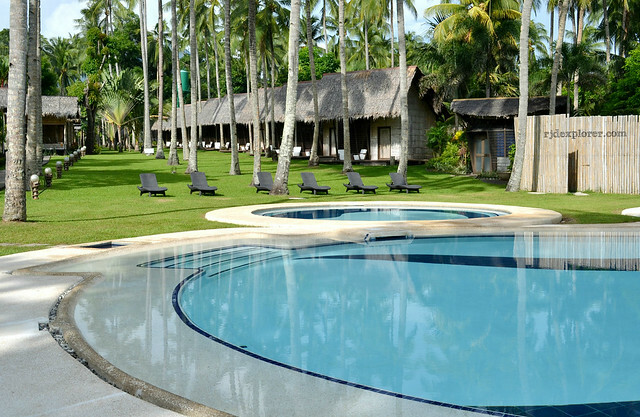 If you will tend to finish your tour around Camiguin before sunset, lounging in the poolside will give you a great view of the sea while waiting for blue hour. Aside from the lounging chairs, there are also hammocks you can utilize for an invigorating nap by feeling the cold breeze from the sea. 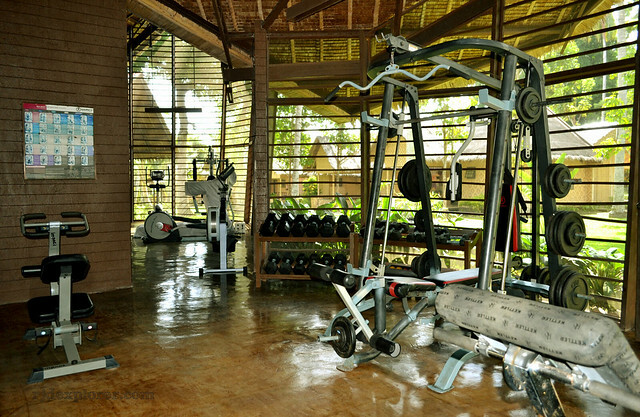 Some perks of checking-in at BBC, for any room type, include access to their Game Room and Gym Facilities. 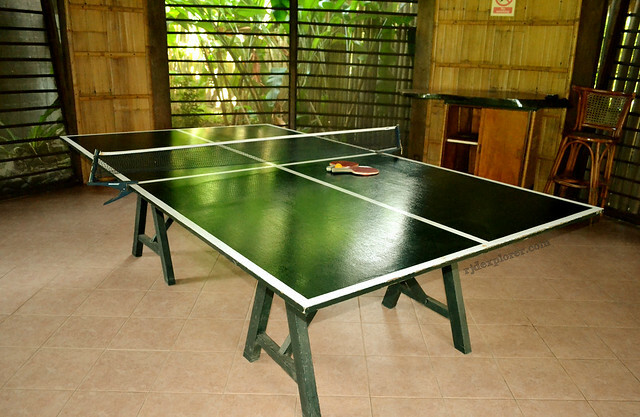 You can hang-out with your group by playing billiards and table tennis in the game room or flex those muscles on the different work-out devices available. 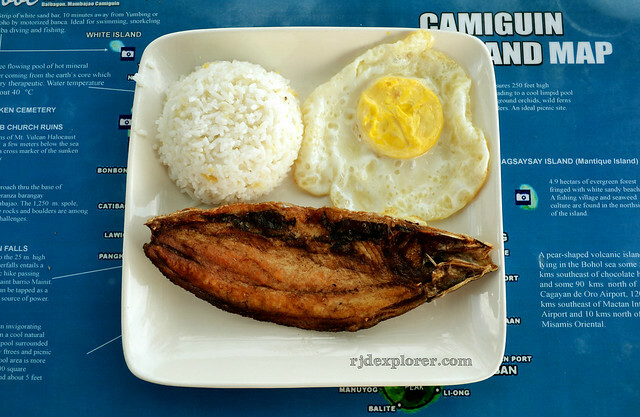 Sikwate and Daing na Bangus for breakfast. To extend the level of your lavish treat, indulge yourself on a soothing spa that can be arranged on their cute Cabana intended just for it. Dining is not a problem here because Oceanside Bar and Grill will cater your dining needs and will provide you a casual and relaxed way of enjoying the sea breeze as you feast on delectable dishes or all-Filipino favorites. I greatly recommend the Sikwate that usually comes with their set of breakfast. 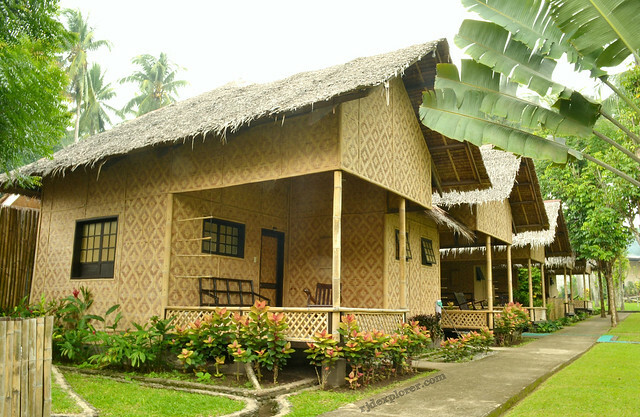 After a long day of exploring the natural beauty of Camiguin, the mood in Bahay Bakasyunan sa Camiguin perpetuates the feeling. In fact, I opted to just stay out of the room for the entire night but I deserve a vitalizing sleep in the Premier Vacation Resort of the South. 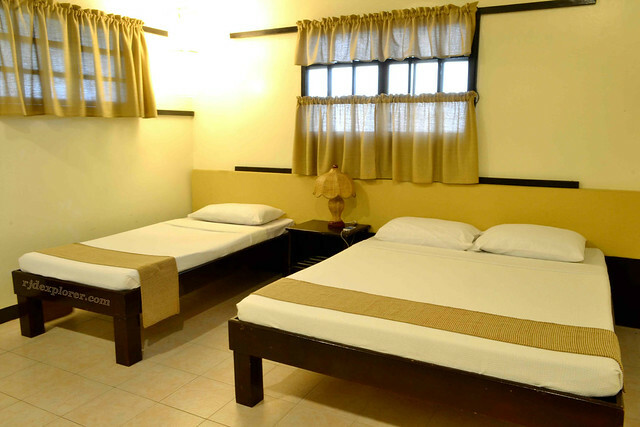 Book that dream vacation in Camiguin and enjoy discounted room rates at Bahay Bakasyunan sa Camiguin here. Previous articlePampam Falls, Where is Kalubihon Falls?